Question: 1 What is the introduction and background of Easy Law Mate? Answer: It is a website dedicated for specialized practical education and information in various aspects of law specially suited for students and professionals in various fields such as Administration, Commerce, Business and Industry Management. Our Laws of India section and Law Courses section has been designed with much care and meticulous planning. At the end of each Law Course Programmes and usage of Laws of India section our members are equipped with the requisite skills to excel in corporate world. Frequent interaction with industrialists, project work, workshops go into making and designing the courses by Easy Law Mate. Easylawmate.com is managed by noted Lawyers, Chartered accountants, Academicians and Technocrats, who all are well experienced in their respective fields. Question: 2 What are the aspects of Law and Taxation covered under the Laws of India section annual membership programme of Easy Law Mate? 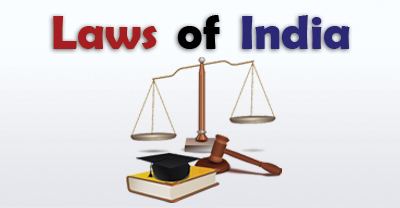 Question: 3 What is the method of use of the Laws of India section by members? Answer: The members are advised to see the details of courses provided under 51 broad subjects under the above subject codes S01 to S51 by clicking on the tax and law e-portal on home page to access the details of courses provided under each subject code. Question:4 What is the annual membership fees for each member for subscribing to Laws of India Section Programme? 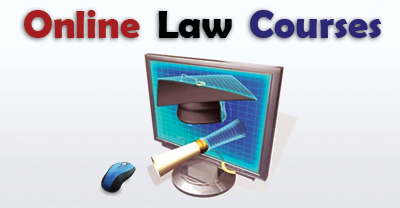 Question: 5 What are the Certificate Courses offered under the Online Law Courses Certificate Programmes of Easylawmate.com? Question: 6 What is the method of use of the e-Learning Certificate Programmes by members? Answer: The members are advised to see the details of courses provided under each e-Learning Certificate Programmes under the above e-Learning Certificate Programme codes by clicking on the e-Learning Programme on home page to access the details of courses provided under each e-Learning Programme. Question: 7 Who are the persons who shall benefit from membership of Easy Law Mate? Answer: Easy Law Mate will be extremely relevant and popular for Lawyers, Law students, Industry Professionals, Management students, Managers, Engineering students , Engineering Professionals, Chartered accountants, Company secretaries and Company managers throughout India and the world. Question: 8 What is the speciality of Easy Law Mate? Answer: At Easy Law Mate we aim at excellence in Professional education. It is a website dedicated for specialized practical education and information in law, Administration, Commerce, Business and Industry Management. We provide Professional environment to the members of Easy Law Mate and we impart practical education with professional touch which is very important to prepare them for the future challenges of the ever changing Indian industry. Question: 9 What is the aim of Easy Law Mate? Answer: The aim of Easy Law Mate is to focus on developing the Professionals who would be able to handle the practical aspects of law relating to various business activities. Easy Law Mate is committed to provide bright future prospects to the members so that they are well equipped to handle the actual practical problems faced by them in industry in fields related to law with which the working executives in the corporate world are not very familiar and is generally left to the legal department . Easy Law Mate shall truly live up to the standards as a torch bearer and provide highly professionalized and practical industry friendly courses. Question: 10 With what aim the contents of Easy Law Mate has been designed? Answer: We not only educate our members but also enhance their overall practical working knowledge of law, so that they can handle the professional challenges with perfection and can stand any where in the modern corporate world. This era of revolution in all the professional fields is also a challenge for Easy Law Mate which we shall fulfill by constantly upgrading our standards of contents and courses and make industry friendly relevant law based courses to help the working executives in the corporate structure. Our Laws of India section and Law Courses section has been designed with much care and meticulous planning. At the end of each online law course programmes and usage of Laws of India section our members are equipped with the requisite skills to excel in corporate world. Frequent interaction with industrialists, project work, workshops go into making and designing the courses by Easy Law Mate. Question: 11 How is Easy Law Mate relevant to Indian industry? Answer: Indian Trade and Industry is running in a highly competitive environment as a result of opening up of whole spectrum of industrial activities. Easy Law Mate shall arise to the occasion to bring out competent professionals to handle various disciplines of management in keeping with Global Standards and Practices. The Easy Law Mate recognizes this need of today and the management of Easy Law Mate is fully geared up to the task of development and making available professionals of the highest caliber matching the skills of their counterparts anywhere in the world. Question: 12 By whom is Easy Law Mate managed? Answer: Easy Law Mate is managed by noted Lawyers, Chartered accountants, Academicians and Technocrats, who all are well experienced in their respective fields. · It a website dedicated for specialized practical education and information in law, Administration, Commerce, Business and industry Management. · We provide Professional environment to the members of Easy Law Mate and we impart practical education with Professional touch which is very important to prepare them for the future challenges of the ever changing Indian industry. · The aim of easylawmate.com is to focus on developing the professionals who would be able to handle the practical nature of business activities. · Easy Law Mate is committed to provide bright future prospects to the members so that they are well equipped to handle the actual practical problems faced by them in industry in fields related to law with which the working executives in the corporate world are not very familiar and is generally left to the legal department . · The era of revolution in all the professional fields is also a challenge for Easy Law Mate which we shall fulfill by constantly upgrading our standards of contents and courses and make industry friendly relevant law based courses to help the working executives in the corporate structure. 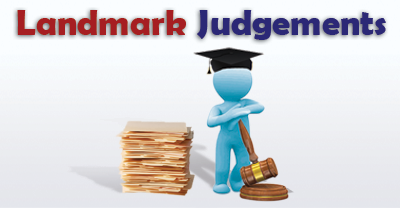 · Our Laws of India section and Law Courses section have been designed with much care and meticulous planning. At the end of each online law course programmes and usage of Laws of India section our members are equipped with the requisite skills to excel in corporate world. Frequent interaction with industrialists, project work, workshops go into making and designing the courses by Easy Law Mate. · Easy Law Mate will be extremely relevant and popular for the Law students, Industry Professionals, Management students and Managers, Engineering students and Engineering Professionals and Lawyers, Chartered accountants, Company secretaries, Company managers throughout India and the world.